His smile, his gift to listen to others, his own, warm voice, his sense of humor, his sense of precision and his sharp spirit, we will miss all that. But, the Atelier de Création Radiophonique ( ACR) that illuminated the programmation of France Culture during more than 30 years and had been conducted by René as a most subtle animator, will radiate for still a very long time. High above the daily gossip of the medium radio. Born in the turmoil of May 68, l’Atelier de Création was the laboratory of a series of programmes, far more free and audacious than what had been produced so far by public radio. Here were developped the most surprising radio forms : the creative radio documentary, the field recordings, the acoustical art (ars acustica). Reaching a level of an audio art, focusing on the real world and real people, while designing and sculptering the power of sound. 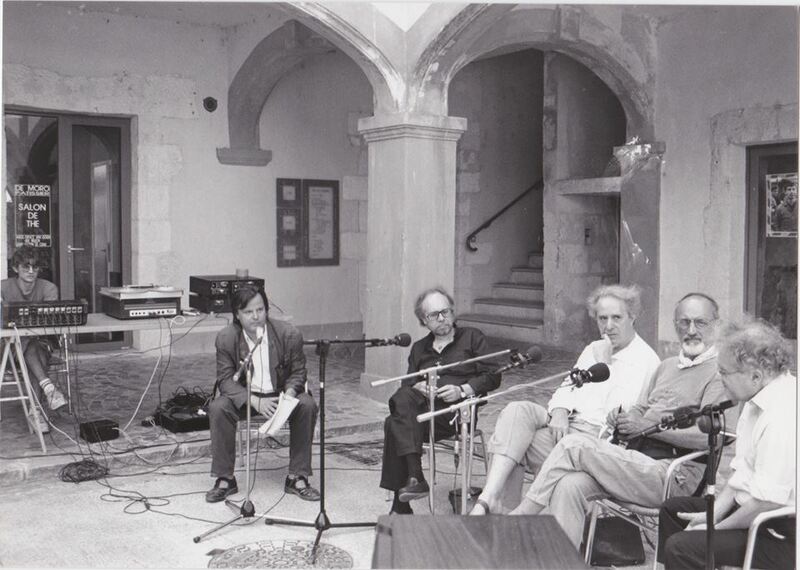 By chance, Radio Grenouille (Marseille) recorded a conference of René Farabet in 2008. Here is the link. In his excellent radio review, Syntone, Etienne Noiseaux reports : “ René Farabet talks about radio and sounds in a unique way. His language , rich in imagery and poetry, is probably the only way we can render the complexity of the radiophonic expression”.